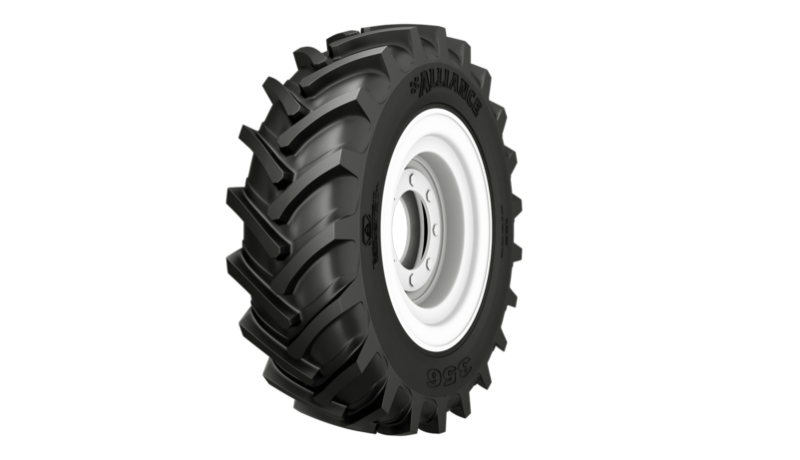 The 356 Forest is a modern diagonal forestry tire for high power tractors on heavy duty jobs in forestry and heavier operation in agriculture. The 356 Forest is a modern diagonal forestry tire for high power tractors on heavy duty jobs in forestry and heavier operation in agriculture. The tire is designed for high traction abilities, low slip and low fuel consumption. The main construction characteristics of the tire are: strong nylon casing and steel belts, high undertread gauge, strong and thick sidewalls, special tread compound and protective mud guard. All these characteristics promise long tire life under heavy working conditions in the forests, as well as, smooth and long lasting work in agriculture. In addition, high non-skid depth promises high traction forces on cohesive and wet soil.